The U.S. Supreme Court has upheld Donald Trump's Muslim travel ban in a 5-4 decision. The restrictions varied in their details, but, for the most part, citizens of the countries were forbidden from emigrating to the United States and many of them are barred from working, studying or vacationing here. The Supreme Court of the United States just upheld Donald Trump's discriminatory ban of Muslims from the United States. 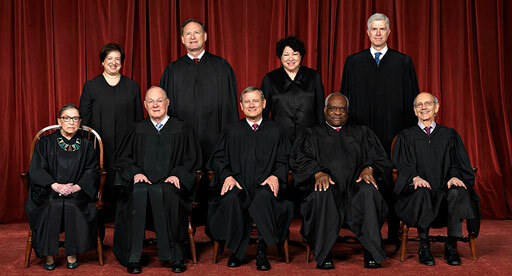 Anyone who pretends that party control of the Senate doesn't matter or that the blockade against #MerrickGarland was just business as usual should be required to read the Supreme Court's 5-4 decisions on the #travelban, #votingrights and Texas' #gerrymandering -- over and over.